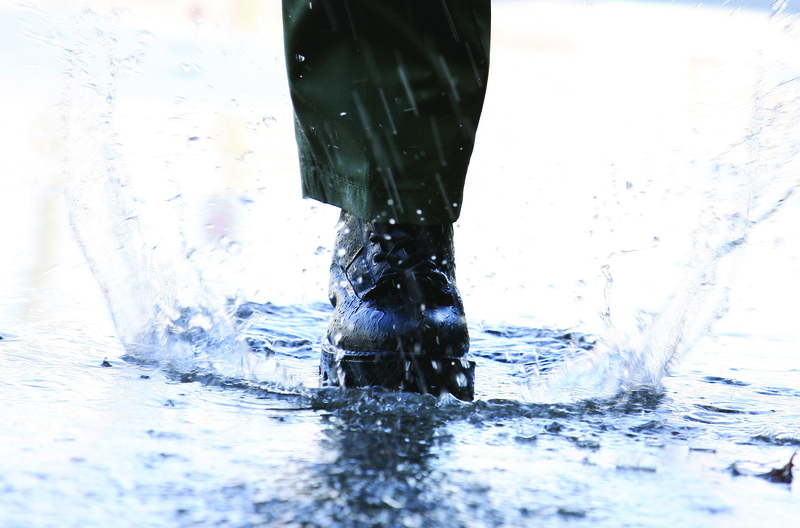 Everyone likes to stay out of the rain, and when you’re on duty during a downpour or even a light shower you’ll want to keep your feet and body dry. Technology like GORE-TEX® and Teflon® exist to make your apparel and footwear resistant to the conditions of wetter weather. Waterproof technology and techniques have developed over the past few decades, but many people don’t know exactly how this technology works and how that knowledge can help them select the best waterproof apparel or footwear for them. Waterproof/breathable fabrics made headlines in 1978 when outerwear designed with a “GORE-TEX®” laminate was introduced. The tricky thing about waterproof apparel or footwear is while they didn’t let water in, they also weren’t very breathable and would feel claustrophobic. Additionally, waterproof material just wasn’t very durable, and would lose their effectiveness after being subjected to hard use, extreme conditions, or frequent washings. That’s what made GORE-TEX® so innovative, since they offer water protection as well as breathability. While not all waterproof technology is GORE-TEX®, the brand name has become completely synonymous with waterproof apparel and footwear. GORE-TEX® works like a waterproof sandwich; there are two outer layers of either nylon or polyester to strengthen the material and an inner layer of Teflon®, which is a microporous chemical compound. Teflon® in a material that was first brought about for non-stick kitchen wear, but it’s water-resistant properties make it excellent for use in waterproof apparel and footwear. The Teflon® layer is made of microscopic holes that lets your body’s natural perspiration escape while repelling exterior water. The reason this works is because perspiration exits your body as a gas, which easily passes through the Teflon® layer, but liquid rain water is nearly 20,000 times larger than those microscopic holes and can’t pass through. Whether you’re trudging through water on the ground or rain that water simply can’t pass through that membrane. However, that doesn’t mean that GORE-TEX® is the only option when looking for waterproof apparel and footwear. Ultimately, what makes GORE-TEX® an exceptional product is the quality and extensive testing to prove that quality. While it is certainly the biggest name, that name often makes the product more expensive than other waterproofing technology. There are other waterproofing names, such as ion-mask, as well as waterproofing done by individual brands. While these may not be as well established a brand name as GORE-TEX®, the alternative pricing may be a more viable option for you and they may be of similar enough quality. Waterproofing has come a long way since GORE-TEX® was first invented in 1978. The technology has improved over the decades and only improved the breathability and water repellency in both apparel and footwear. 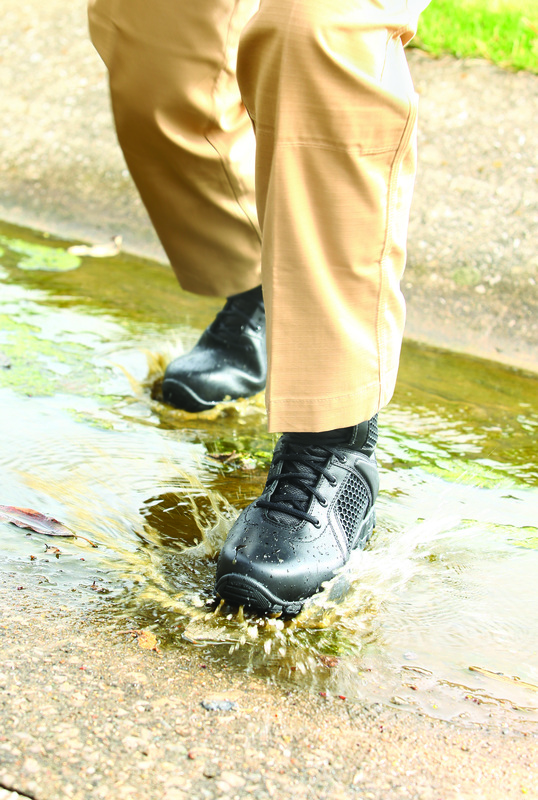 While pioneered by GORE-TEX® using Teflon®, the technique for waterproofing is not limited to those two brand names, although they are industry leaders. With that in mind, you should now be able to choose the ideal piece of waterproof footwear or apparel that fits your price needs.